I hope you’ve all had a nice week. Thank you all so much for the great feedback I’ve been getting on my spring posts lately 🙂 . I’ve been working on ‘The 6 Stages of Procrastination’ for quite some time now, and I’m so happy to finally be able to share it with you guys! Seriously though, I hope you guys enjoy it and – if you’re procrastinators like me, let me know if you recognise these stages as well. Or, if you know how to actually be a sane, organised human being please comment down below and share your secret! Some, admittedly naive, people may claim that the key to accomplishing a task successfully is to begin by acknowledging it… But that’s just ridiculous. Obviously, the best way to deal with your problems is to pretend they don’t exist. Once the denial stage has run its course, and you’re slowly realising that you can’t avoid reality forever, you move on to step 2 – acknowledgment. By this I mean notifying everyone in the universe that you have work to do. Because why start working, when you could spend hours complaining to your friends about how little time you have instead? Once you’ve accepted the fact that you have work to do, the next step is to do everything in your power to avoid starting said work. This stage is characterised by the classic Google search “how to stop procrastinating” and the advanced calculations necessary to determine just how far you can push your deadline. Your motto in this stage is, “Why do today what you can do tomorrow?”. You start making up all these excuses, randomly cleaning your room, getting distracted by anything you see. And all the while, you tell yourself that you still have enough time left, even though you know it’s a lie you’ll live to regret. Eventually, you’ll reach a point where a short burst of motivation will inspire you to pull out a pen and paper, or perhaps a phone and notes app (who knows what you kids are up to nowadays), and write a to-do list. Now this is when you’ll start convincing yourself that you are an organised, proactive person who has their life together. Why? Because in your mind, writing down all the jobs you need to do, in order of priority and with little check boxes scribbled beside each task, is the equivalent of doing half the work. There’s a common misconception that procrastinators aren’t productive. I beg to differ. Let me tell you, when procrastinators have a job to do, they become the most busy people in the world…doing everything except start work on what they actually need to do. Have a ten page essay due tomorrow? Sounds like the perfect time to take up skiing, flamenco dancing and learn to speak Estonian. Now, inevitably the cycle of procrastination will end with an emotional breakdown right before your deadline. Often, this will be Sunday night where you have to finally admit to yourself that if you don’t start working now, the work just won’t get done at all. From here on there are two possible outcomes. One, you do the work, tired and frustrated, to a relatively mediocre standard and promise yourself you’ll never procrastinate again. Or, for the truly experienced like myself, will spend the remaining amount of time devising a suitable lie that will temporarily get you out of this situation. In both cases it’s only a matter of time before you’re back at stage 1, ready to repeat the whole process again. Did you enjoy this post? Make sure to like and comment below if you can relate or if you’re one of those crazy people who actually get work done! FOLLOW ME ON SOCIAL MEDIA? I’ve never been one to sleep in, mainly because my lack of social life ensures an early night. However, I’ve always enjoyed an extra hour or so in bed on Sundays, especially when on holidays. So it was a surprise when this morning I woke up unusually early to the sounds of what my sleep-deprived mind imagined to be a battle going on outside my bedroom. As it turns out, it was simply my younger siblings on an enthusiastic Easter egg hunt around my house, their chocolate-fueled excitement apparently making any kind of discretion at 7a.m. impossible. Luckily, one giant, mint-flavoured, gold foil-wrapped chocolate egg later, my abrupt awakening was forgotten and I officially switched over to Easter-celebration mode. I wanted to share this delicious carrot cake recipe with you guys today, because it’s such an Easter classic! The bright, colourful carrots combined with crunchy pecan nuts, flaky coconut and warm spices, make a perfect, aromatic batter. The moist cake is topped with a fluffy mascarpone icing that just brings it to the next level. I just barely managed to snap a few photographs of it, before my family promptly devoured it in seconds. Make sure to let me know in the comments below what other posts you guys want to see this spring. Happy Easter! Preheat the oven to 190’C (375’F). Grease and line a baking tin with baking parchment. Sift flour, spices and baking powder into a large bowl. Add pecans, coconut, sugar and carrots. Mix well. Add eggs, orange juice and butter. Stir until well combined. Pour mixture into baking tin. Bake for 20-30 minutes. Leave to cool on a wire rack. For the icing, beat together mascarpone, icing sugar and vanilla extract until smooth. Spread the icing over the top of the cake and decorate with a few pecan nuts. I hope you’re all enjoying your week 🙂 . I’m off school at the moment, which means that I finally have time to get crafting and work on some new blog content for you guys. The other day I was inspired by a rare spell of sunny weather to experiment with some watercolours (usually I use acrylics, so it was fun to try out something new). I thought a few bright, spring printables would make a nice mid-week post, especially with Easter coming up! So, here’s a little selection of cards, to-do lists and wall art that you can download for free as pdf files and print off at home. Let me know in the comments below what you guys think, and if you’d like to see more free printable artwork! So I’m not one to brag, but I guess you could say that I’m something of an earring connoisseur. My obsession began about four years ago when my mother innocently suggested I get my ears pierced one day, unwittingly laying the foundations for what has developed into a full-fledged jewelry addiction. With Easter break coming up, I figured it’s the perfect time to get crafting and conveniently find an excuse to expand my forever growing earring collection. All these DIYs are perfect for spring time and can easily be personalized to suit everyone’s individual style! While these beaded earrings are a little time consuming to make, I was so happy with the end result! I went for a simple green design, but you could definitely get creative and mix up colours and patterns. All you need to make these are some beads, strong thread and earring hooks. Cut a few lengths of thread (I used two per earring) and thread them through the earring hooks. Tie a knot so that the hooks are secured midway up the length of thread. Then, just start beading (a little tedious, but it’s worth it) and tie a couple of knots at the bottom of each string to make sure the beads don’t fall off. Snip of the any end bits of dangling thread at the ends and your done! I’m all for unique, quirky fashion statements, so I’m in love with these artsy collage earrings! They’re also a great way for recycling old earrings that you don’t wear anymore, which is always a plus. To make them, you need an old magazine, PVA glue, a paintbrush and flat, circular earrings. Just tear up the magazine into little shreds, until you’ve got a range of colourful paper scraps. Then, glue the paper onto each earring to form a nice collage – making sure to finish it all off with a final coat of glue to seal it all in. Aren’t these tassel earrings chic? They only took a few minutes to make and would add a splash of colourful glamour to any outfit! To make them, you’ll need some black and yellow thread and earring hooks. Wrap the black thread around your two fingers about 30 times, then attach the top part of the loop to the earring hook. Cut the bottom part of the loop so that the thread is dangling freely. Now, wrap the yellow thread around the black thread and secure it with a knot to form the tassel. That’s all I have for you guys today. Make sure to comment below letting me know which earring was your favourite and what other DIYs you’d like to see over the Easter break! I hope you’ve all been having a lovely week 🙂 . I’m in the middle of my mock exams at the moment in preparation for the Leaving Cert (ie. the final exams to get into college here in Ireland), which means I really should be dedicating all my spare time to studying. So naturally, I decided to do some baking instead. Because really, no study session is truly complete without an excessive amount of snack breaks, procrastination and regret. Anyways, I thought with the weekend coming up it was the perfect time to share this super simple recipe with you guys. These soft, chewy cookies were deliciously addictive – it took all my self control to wait and take a few photos before eating them. I’ve always had a slight white chocolate obsession and, paired with coconut, the two truly make a perfect match! I also love that this recipe doesn’t involve chilling the dough, because really who has time for that sort of thing. Of course, you can enjoy the cookies as they are or, if you want to put a little extra effort into presentation, drizzle some melted white chocolate over them and top with some more coconut. Let me know in the comments below if you guys try them out and what your go-to study snack is! Step 1 In a large bowl, cream together butter and sugar. Step 2 Add egg and vanilla essence to the mixture. Beat until light and fluffy. Step 3 Add flour, baking soda, baking powder and salt. Combine well until mixture forms a crumbly dough. Step 4 Roughly chop chocolate. Or alternatively buy chocolate chips, which is no doubt easier – I just didn’t have any on hand. Step 5 Add chopped chocolate and coconut. Mix until well combined. Step 6 Roll the dough into small balls and place them onto a lined baking tray. Step 7 Lightly press down on each ball with a fork. Step 8 Bake cookies at 180’C/350’C for 10-15 minutes, or until they’re a pale golden brown. Step 9 Leave to cool on a wire rack. How have you all been? It’s been a while… You know, I only had one resolution for 2017 and that was to start posting regularly every week this year. Needless to say the whole ‘New Year, New Me’ thing hasn’t been working out too well. I feel like the New Year hasn’t even officially begun until everyone you know has started some weird diet that involves fasting for 12 hours a day and drinking pureed salad. And quite frankly, I find the whole thing very upsetting. See, a diet just entails removing something beautiful (ie. food) away from one’s life – why would any one want to start off their year with that kind of negativity? I think you should do just the opposite. Going to the gym? Bring some chocolate cake to work out those jaw muscles. (Alternatively, skip the gym altogether because why be fit, when you can be filled with regret instead.) Going to get a coffee? Bring another cup of coffee along with you to drink while you’re waiting for the coffee you ordered. Thinking about giving up on sugar? Well, how would you feel if sugar gave up on you? What better way to ring in the new year than changing up your style, right? Wrong. You’re already broke after treating yourself over the holidays and then society tries to tempt you to buy more stuff with “January sales”? Don’t just go giving into consumerism. In fact, stand up for your rights. Don’t buy anything ever again. Find a nice bin bag, cut a few arm holes in it and then wear it for the rest of your life. It’s unique, water proof and black works for every occasion. Problem solved. You guys know I love to travel, so I would definitely encourage everyone else to do some travelling this year. When it comes to travel, there are only two things to consider. 1) How are you going to pay for it? 2) What are you going to wear? The first question can be easily resolved by either winning the lottery or marrying rich, and the second can be answered if you follow the steps outlined in my last point. You’re welcome. I know what you’re thinking. The beginning of a new year is the perfect time to start all those projects you’ve been dreaming about. Write a novel, start a blog, learn how to dance the flamenco… But the thing is, that’s what everyone is going to be aiming to do this year. You really want to be creative? Embrace your laziness. Motivate yourself to stay in bed just one hour longer. Actively ignore any responsibilities or opportunities that come your way. Make an inspiration board with pictures of all the things you want to achieve, instead of actually achieving them. Trust me, it offers a totally new perspective on life. I’ve tried it. Finally, are you tired of the same old routine, day in, day out? Do you wince when your alarm goes off in the morning? Have your weeks begun to blur into one? Fear not! You can fix this – just be incredibly impulsive and disregard any of the consequences it may have on your future! That’s right, quit your job, pack up your stuff, move to Peru and become a llama whisperer. Life will never be boring again! Well, that’s all I have for you guys today! Let me know what your resolutions/ anti resolutions are in the comments below :). All jokes aside, I do hope you all have an amazing 2017 and achieve all your goals this year! I hope you’re all enjoying the holiday season! Personally, I had all these plans to be super productive but so far have just been eating a lot of chocolate and accomplishing little else. Though I mean, is it even the holidays if you don’t spend 90% of the time watching Netflix and 10% of the time regretting all the time you’ve wasted? That being said, in between my excessive consumption of ferrero rochers and candy canes (because I’m classy, but I’m also like five), I did manage to put together this little end-of-2016 post for you guys. Though naturally, I procrastinated as per usual and waited until the very last day of the year to finish it ;). Let me know in the comments below what type of person you are on New Year’s Eve – because clearly everyone in our society falls into one of these 5 categories ;). Hope you all have an amazing New Year! Of course, being the social butterfly that I am, I’ll be spending tonight hanging out with my family in my pajamas, struggling to stay up till 12a.m. Do you guys have any more exciting plans? This is the person who’s biggest challenge of 2016 is going to be deciding which party to attend on December 31st, followed by which shoes go with their sequins-covered dress. And I’m not going to lie – I’m basically the total opposite of this person, but I know they exist because these people document everything on social media. In fact, I don’t even feel like I need to go to parties because after a few minutes scrolling down my facebook timeline – I feel like I’ve been to all of them. We all know that one person that come January 1st, just feels a sudden urge to reinvent themselves completely – and tell everyone about it. Now we’re all guilty of coming up with one or two delusional new years resolutions – but these people just take it to the next level. Because let’s be honest, we both know that you won’t be getting fit, eating healthy and learning to speak mandarin chinese… You know why? Because you say this every year, and it never happens. So stop with this ‘turn over a new leaf’ nonsense and come over here and enjoy this pizza like the rest of us. This is the friend who’s spending New Year’s Eve in their room, with some snacks, watching the New Year’s celebrations happening around the world on TV. Their thinking is,’who needs to go outside, when you can see the fireworks on your screen?’ And actually, I feel like this person may be on to something… food, comfort, wi-fi? What better way to ring in the new year. Okay, first off if you’re reading this and your name is Chloe, please don’t be offended I was just stuck for a title and needed some kind of alliteration. Anyway, this is the person that just has no idea that it’s New Years Eve, and to be honest they probably don’t know even know what year it is at all. The rest of us will be doing the whole count down till midnight thing and they’re probably sitting somewhere with an old advent calendar counting down the days till last Christmas. And finally, everyone knows the one rule of New Year’s Eve is to stay up till midnight. But, without fail, there’s always that one person who – every year – just falls asleep at like 10p.m. and wakes up the next morning all confused they missed the fireworks! So I’m not going to lie, I’ve been wanting to share this recipe with you guys for months but have been patiently waiting for it to be socially acceptable to post Christmas recipes (which according to my mother would be the 1st of August)! Anyways, now that I’ve heard every single Christmas song ever written being played about a hundred times over in the last week, I figured it’s a perfectly acceptable time for making snowball cookies. Personally, there’s nothing I love more on a cold winter’s day (or any day, really – weather’s pretty irrelevant) than to snuggle up in bed, briefly consider the possibility of being productive and ultimately end up just eating cookies for a couple of hours. And what with Christmas break coming up, I thought I’d spread some Christmas cheer and encourage you all to do the same 🙂 – because I’m such a great influence. And trust me, these little icing-covered, melt-in-your-mouth balls of deliciousness make the perfect snack to share with your family (or enjoy by yourself – I don’t judge) over the holidays! I hope you get a chance to try them out over the weekend – if you do, make sure to let me know in the comments below! Preheat the oven to 250°C/400°F. Combine butter, sugar and vanilla in a large bowl. Add the flour and salt. Mix well until a crumbly dough forms. Shape the dough into balls. Place the dough balls on a cookie sheet and bake for about 9 minutes until set (don’t let them brown 🙂 ). Leave the cookies to cool slightly, then roll them in icing sugar while they’re still warm. Enjoy! The Blogger Symptoms: 15 Things ALL Bloggers do! I hope you’re all having an amazing week :). Can you believe it’s already December 1st? Time flies when you’re spending too much time on the internet and not enough time doing your homework. Personally, I’m just happy about the whole advent calendar tradition starting up again. Seriously, why isn’t that an all-year round thing? I mean I think I deserve a little chocolate every morning to make up for all the sport I don’t do. Anyways, about today’s post…The Blogger Symptoms. Very dramatic sounding, isn’t it? Now don’t get me wrong, I’m not saying blogging’s a disease – you guys know Ilove being a blogger! But, I’m sure all my fellow bloggers can agree that there are some things we all do that are pretty crazy. Last month was my one year blogiversary and I wanted to write something fun to celebrate an amazing year of Artsy Teening! I know a lot of my followers are also bloggers, so I hope you guys can relate to this list (or alternatively if you don’t have a blog, I suggest you sit back, relax and laugh at all us crazy people who post stuff on the internet 😉 ). 1 – Taking a million slightly different photos of the same thing, because you need to get the angle just right! 2 – Constantly checking your blog stats has just become part of your daily routine. 3 – Spending more time replying to the lovely comments from your followers than you do replying to texts from your friends. 4 – Having that one drink/snack that you like to have when you’re writing a post. 5 – Double checking to see if the post you scheduled was actually published on time! 6 – Suddenly remembering that a twitter chat was happening, but you’ve just missed it! 7 – Always having a bunch of post-its lying around. 8 – Trying to think of synonyms for the same word so that you can have as many tags on your post as possible. 9 – Always randomly jotting down ideas for potential blog posts. 10 – Basically having a nervous breakdown when there’s no Wi-fi connection nearby. 11 – Sunny days are an excuse to take plenty of pictures while the lighting’s good! 12 – If you’re blogging and someone asks what you’re doing, you say you’re “working”. 13 – Making decisions solely based on the fact that “you can blog it”. Seriously, the amount of times I’ve only baked cookies for the sake of a decent recipe post! 14 – Always having a hundred tabs open at once. 15 – Getting super excited every time you change up your blog’s layout! 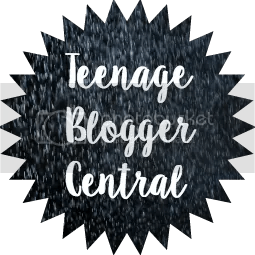 Blogging Symptoms from Other Bloggers! Another great thing about being a blogger is becoming part of an amazing blogger community…So I decided to ask a few of my blogger friends to send in some of their own ‘Blogging Symptoms‘! So, have you caught the Blogging Bug? Let me know in the comments below! FOLLOW ME ON SOCIAL MEDIA 🙂 ? So without further ado, here are 10 Things I Hate About Winter, in no particular order of importance because I’m too indecisive to prioritize anything. I thought I’d start off by addressing the obvious. Winter weather, and by that I mean constant rain, icy wind and dreary grey skies. Now I’d just love to see that on a Christmas card, instead of this “winter wonderland” rumour that’s been going around spreading false hope. Admittedly, I do live in Ireland where we have this kind of weather all year round – but it definitely gets even worse during the winter months so I’m allowed to give out about it. And if you actually happen to be one of those people who lives in a cute chalet somewhere in the Swiss Alps, well good for you. I hope you’re enjoying yourself while the rest of us try to convince ourselves that our snowy landscape screen savers are real. Is it just me or does the cold make it significantly harder to get out of bed in the morning? I mean, I’m not the biggest fan of leaving my comfy quilt and pillows to go face reality in the first place. However, when I wake up and my blanket is the only thing shielding me from the arctic winds of my bedroom, the idea of dropping out of school and moving to the Caribbean suddenly becomes extremely appealing. Some people call winter a “time of festive cheer”, personally I call it the “time to decide between fashion and not dying of pneumonia”. Is there even such a thing as fashionable warm clothing? If there is please let me know what it is! Because let me tell you, if I had a euro for every time a perfectly constructed outfit was ruined by an ugly jumper or horrible winter coat, I’d be rich by now. This may just be me, but as soon as the days start getting shorter, my productivity just plummets. It’s like my life becomes a maths test, the formula is ‘hours of daylight are proportional to levels of motivation’, and I’m failing miserably. Honestly this is why I’ll never be a great writer because I could be on the last page of my masterpiece and then as soon as it gets dark outside, that’s it – game over. I’d just drop everything and watch Netflix for six hours. I think it’s safe to say that I relate to this issue on an emotional level. First off, my school’s heating system works so that 75% of the classrooms are freezing, and the other 25% are like the fires of hell (which I’ve never been to personally, but I’m just assuming that accounting class and hell are more or less the same). This basically means I’ll be sitting in maths wearing a hat, scarf and fifteen layers of clothing, and then walk into Spanish class and have to change into a bikini. As if that wasn’t bad enough, when I get home I then have to enter into a four-month-long argument with my Dad about turning on the heating, because he’s one of those vampire people who just don’t feel the cold. Not to mention that on top of all that, the heating in my car’s broken. Really at this point, as soon as Halloween’s over I’ve just learnt to accept that that I’ll be in a constant state of frantic shivering for the rest of the year. You know what I just love? When the Christmas holidays are around the corner, everyone’s acting uncharacteristically sweet because they want to get presents and there’s just a generally festive and joyous atmosphere. Oh, and you can’t take part in any of it because the education system decided that this was a great time to test you on everything you learnt in the past 6 years. You hear a lot of phrases tossed around during the winter months. “Happy Holidays”, “Merry Christmas”, “Can you turn the heating on?” (yeah, the heat issue’s really gotten to me). But you know which one you hear the most often? “There’s a bug going around”. I swear as soon as the clocks go back, life just turns into a countdown waiting for who’s going to get sick first. And you know there’s no avoiding it, because as soon as one person has it in the family then it’s just a domino effect of doom from then. Plus everywhere you go, everyone’s sniffling and coughing and asking you for tissues (needless to say I wasn’t destined for a medical career). Perhaps not the most serious problem of all time, but I just think in today’s day and age, touchscreen devices should be able to handle my wearing gloves. I mean lack of technological advancement here is basically forcing me to choose between frost bite and listening to music (because I’m not one of those normal people who can just put on a playlist, I have to choose each individual song). Cold weather means hot chocolates and spiced coffees and herbal teas… oh and SETTING FIRE TO YOUR MOUTH. Now this could just be me, because I have the patience of a five year old and can’t wait for my drink to cool down before drinking it, but I thought I’d complain about it anyway. Okay so I have this theory that my washing machine consumes socks. Seriously, that seems to be the only logical explanation for my socks’ random disappearances. And the worst part is that during the summer months, I always seem to have an abundance of them, but come November I’d be lucky to find even one pair of mismatched socks.